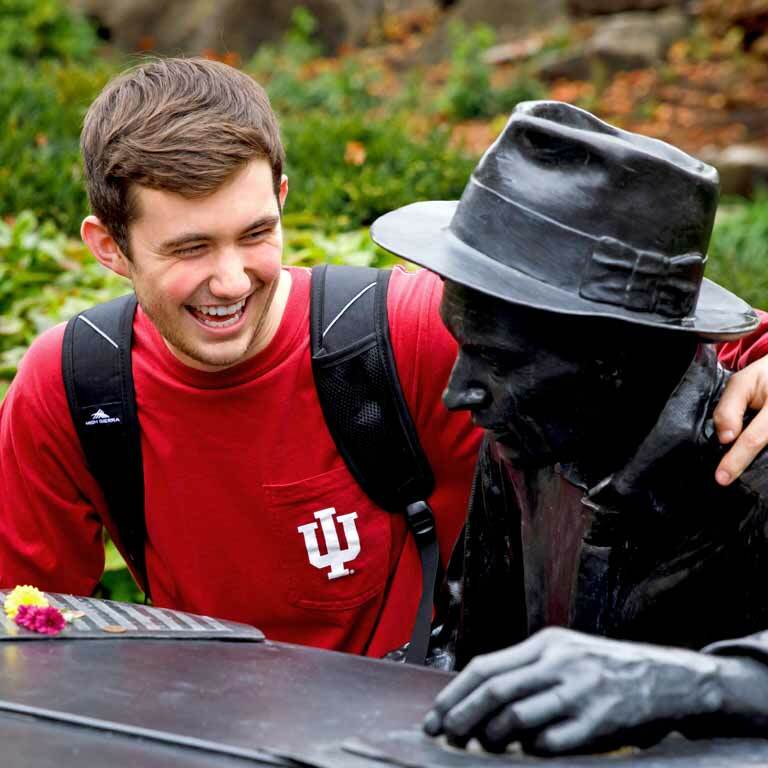 IU Cinema is the perfect place to see films and attend movie-related events. We do our best to ensure a flawless screening and an immersive experience for all. Everyone is welcome at IU Cinema. If you have any questions about your visit, feel free to contact us. IU Cinema is located at 1213 E. Seventh Street, in the heart of the IU Bloomington campus. We are at the east end of the IU Auditorium building. Our main entrance is on the north side, facing the Herman B Wells Library. We screen films most days of the week during the fall and spring semesters. Most shows start at 1 pm, 4 pm, 7 pm, or 10 pm. IU Cinema is closed on campus holidays as well as the months of June and July, when we do maintenance, training, and administrative work. For upcoming showtimes, see our calendar or call 812-856-CINE. You can also subscribe to our weekly email. IU Cinema has 260 seats. We encourage you to get tickets in advance of the event you are attending. Unless otherwise noted, all screenings and other events require tickets. All patrons, including infants and patrons who sit in their wheelchairs, must have a valid ticket for all ticketed events. For all ticketed events, patrons with tickets must be seated at least five minutes before the event starts to be guaranteed a seat. Online ticket sales close one hour before any event. If all tickets have been issued for a free event, we will recognize a standby line to seat additional patrons if seats are available. In most situations, we are able to seat nearly all standby patrons. No standby line is recognized for sold-out paid events. There is no limit on ticket purchases for paid events. There is a limit of two tickets per person for each free event. If you have a class, club, or large group that wishes to attend a free event, please contact us. IU Cinema does not offer discounts for group sales. Ticket exchanges can only be made for the same film title—so if a film is being screened more than once, you can exchange your ticket for a different screening time or date if tickets are still available. Your exchange must be completed before the date and time listed on the ticket you want to exchange. We do not offer ticket refunds. We are located near many IU parking lots and the Jordan Avenue garage. In addition to wherever your permit normally allows you to park, you may park in any non-24-hour space Monday through Friday evenings from 5 pm until 7 am, and all day Saturday and Sunday. This is the nearest parking garage to IU Cinema. Located at 150 N. Jordan Avenue, between Third and Seventh Streets, this garage is free of charge from 6 pm Friday to 7 am Monday. On weekdays, the maximum fee for vehicles entering after 5 pm is $10. The lower level and some spaces on the upper level are reserved for IU parking permit holders, so be sure to park in the visitor spaces on the upper level. You have several options for free weekend parking. If you regularly attend IU events, we highly recommend you consider purchasing an Auditorium (AU) permit. 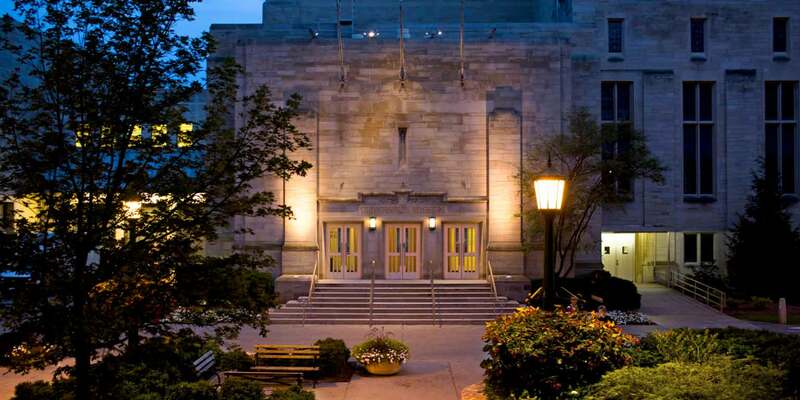 It enables you to park in any garage or non-24-hour EM-P, EM-S, or ST space on evenings and weekends for any IU Cinema, IU Auditorium, Musical Arts Center, or IU Theatre event. With an AU permit, you can park in many surface lots near the Cinema and in the Jordan Avenue garage without paying an hourly rate. Please note that this permit is not valid for weekday matinees. The 2018–19 permit costs $32 and is valid through June. You can use this permit to park in any garage or non-24-hour space from 5 pm to 7 am on weekdays and all day Saturday and Sunday. The Office of Parking Operations has information about more parking options on IU’s campus. Nearly all parking locations on campus are ADA-accessible. Several lots and buildings near IU Cinema—including the Wells Library and the Neal-Marshall Black Culture Center—offer parking specifically for people with disabilities. A valid IU parking permit is required at all times, unless you park in a metered disabled space. Our building policies are designed to create the optimal environment for watching films: one with minimal distractions and maximum respect for other patrons and the show. We thank our patrons for being respectful and compassionate of others during our film screenings and events. IU Cinema respects every patron’s First Amendment rights. However, as part of a public institution, we have a duty and a responsibility to maintain a safe and civil public space. Violation of any of our policies regarding appropriate conduct could result in removal from IU Cinema without a refund. Mobile phones and other electronic devices must be silenced or turned off during all IU Cinema events. The use of cameras and recording devices during any film screening is strictly forbidden. The recording of copyrighted material is illegal. Piracy is a serious federal offense punishable by federal laws. Cinema staff reserves the right to inspect any device if the patron is suspected of any recording. Violators will be ejected from the Cinema after all recordings have been confiscated for evidence. Authorities will be contacted and charges will be filed. Patrons are permitted to take photographs for most lectures, film introductions, and post-film Q&A sessions, unless otherwise noted. Approval to record video or audio of lectures, film introductions, and post-film Q&A sessions must be obtained from IU Cinema staff before the day of the event. Food and beverages are not permitted inside the IU Cinema theater space, with the exception of water. Please feel free to consume food and beverages in the upper or lower lobbies before entering the theater space. IU Cinema does not permit any items inside of the theater space that cannot be contained within the seat of the patron, including bicycles, oversized luggage, or large musical instruments. Please do not use the seat next to you to store items. If you have a large item that cannot be contained within your seat, please see a house manager for assistance. IU Cinema does not permit items that would detract from the moviegoing experience, including fake weapons, face-covering masks, or large hats. 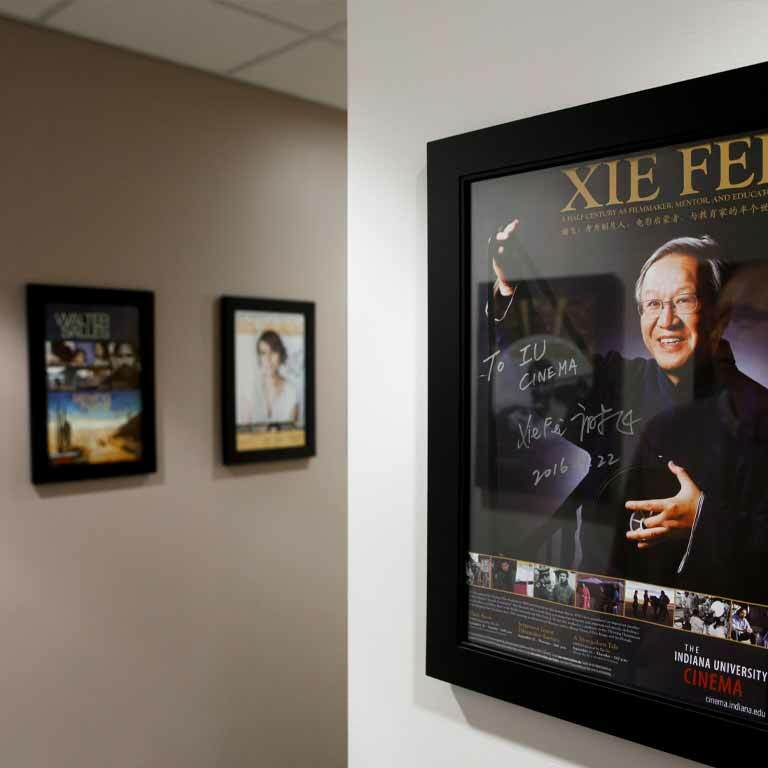 Patrons possessing such items will be asked to remove and store them for the duration of the film screening/event. Patrons are welcome to come dressed in costumes that don’t include prohibited items. Items that are found in IU Cinema are kept until the end of the semester. At the end of each semester, all unclaimed items are donated to a local charity. If you think you left something here, contact us. Disruptions can interfere with the enjoyment of all IU Cinema patrons. Any patron disturbing others in any way—including excessive talking, aggressive behavior, using excessive profanity, alcohol- and drug-induced behavior, using electronic devices during a screening or event, and engaging in disorderly conduct or vandalism—will first receive a verbal warning from Cinema staff. If the disruption continues, Cinema staff reserves the right to remove the patrons engaging in or causing the disruptive behavior. Any patron engaging in verbal expression or physical conduct that demeans or demonstrates hostility toward an individual because of race, color, national origin, ethnic background, religion, gender or gender expression, national origin, age, disability, or sexual orientation will not be tolerated at Indiana University or IU Cinema. Individuals engaging in such conduct will be ejected immediately from IU Cinema and will not receive a refund or exchange for their ticket. Alcohol, cigarettes, electronic cigarettes, and illicit drugs are not permitted on IU Cinema property. 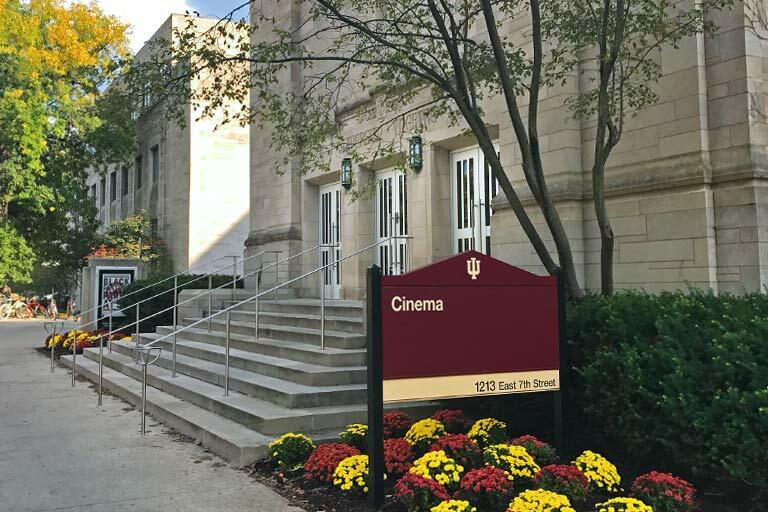 IU Cinema has a ground-level elevator entry, wheelchair-accessible seating, companion seats, assistive listening devices, and closed-captioning devices. Our accessible seating is available on a first-come, first-served basis. Service and support animals are welcome at IU Cinema, including during events. We ask all patrons with service and support animals to follow IU policies, including ensuring that the animal won’t be disruptive (for example, barking) and that the animal will be actively restrained at all times (for example, on a leash, not by voice command or other passive means). Please let our staff know if there is anything we can do to help you, either when you arrive or by contacting us in advance.